If you weren't raised Catholic, would you be Catholic? My reply is that is an excellent question. If you'd asked me 10 or 12 years ago I would have said not necessarily or probably not. Today I'd say definitely. * Taking Communion to Mozart's 'Ave Verum Corpus' sung by the boy choir at St. Paul's in Harvard Square, or kneeling at the altar rail in front of a statue of the Virgin at the old Holy Trinity German Church in the South End. The list could go on, but there is a website that does the job far better, a blog by North Shore writer and publisher Webster Bull called Why I am a Catholic. 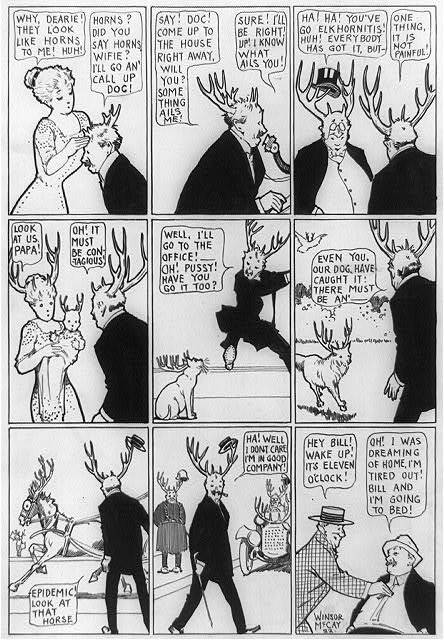 He describes the site thus: A friend, a fellow convert, asked me out of the blue one day, "So, Webster, why Catholicism?" I was at a loss. I couldn't say. So I started this blog. Each post is a partial answer. 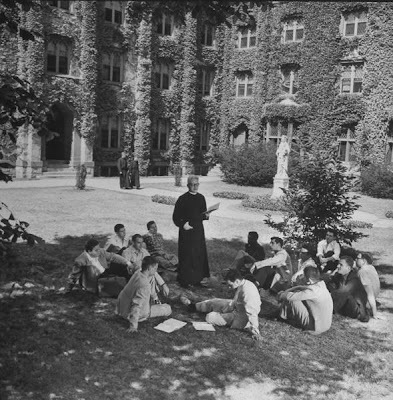 Jesuit Father Alfred Barrett, teacher-poet, reads aloud from a book of his poems to students on the lawn at Fordham University ~ From "Jesuits in America," photos by Margaret Bourke-White, Life Magazine, October 1953.